Work footwear doesn't have to be clunky and ugly and weird-looking, you know. Sometimes, work shoes can look exactly like the kind of footwear you chose to wear when you're not at work. These Reebok RB1062 Men's Black Beamer Non-Metallic Athletic Composite Toe EH S ... (see full details) (see specifications) #RBKRB1062. Work footwear doesn't have to be clunky and ugly and weird-looking, you know. Sometimes, work shoes can look exactly like the kind of footwear you chose to wear when you're not at work. These Reebok RB1062 Men's Black Beamer Non-Metallic Athletic Composite Toe EH Shoes look so amazing, you won't want to save them just for work. This premium footwear is manufactures with a low-cut, sleek design that looks exactly like the athletic shoes you'd wear on the basketball court. In fact, there’s no reason you can't wear these work shoes on the basketball court if you like. The soles are crafted with rubber bottoms just like any pair of athletic footwear. The rubber makes the soles bouncy and shock-resistant. The dual-density design gives you a two-layer sole. The midsole is made with lightweight, injected EVA foam. Airy EVA cushions your steps while rubber supports them. TPU heel shank stabilizers are built into the soles of these composite toe shoes. TPU, otherwise known as thermoplastic polyurethane, is lightweight like plastic but impact-absorbent like rubber. The sleek black uppers of these shoes are constructed with leather, which works great whether you wear them for work or play. Flexible leather is soft and smooth. It's durable and water-repellent. It's wear-resistant, it's easy to clean, and it looks good. What more could you want in a work shoe? The grey trim helps show off the black leather design. Nylon mesh material lines the inside of this workwear to keep the design feeling soft around feet. Abrasion-resistant nylon is surprisingly strong despite its light weight. Mesh-like nylon keeps the design ventilated, so your steps stay cooler. The EVA cushion inserts can be removed any time for cleaning. Leave them in there while you're working, so they can keep your feet cushioned all day. These black beamer shoes are security-friendly and 100% non-metallic. The XTR brand composite toe caps meet ASTM F2413 standards for safety, just like steel. But they don't have the weight of steel and they don't conduct electricity like steel. In fact, these Reebok shoes are EH certified as well. They resist electrical hazards and absorb danger to protect you from it. The composite toes are designed to be extra-wide, so you still get a comfortable fit. These Reebok RB1062 Men's Black Beamer Non-Metallic Athletic Composite Toe EH Oxford Shoes don't just look like athletic shoes. They feel like them, too. Employee loved these shoes. This was their second pair. Helps their feet and calves feel better. Employee's legs were hurting a few years ago, that is when they switched over to this shoe. The employee commented that their legs feel better now than they ever have. Most definately a recommendation to everyone with sore legs. Steel toes have my feet and legs dragging by the end of the day that's why I tried the Reebok composite toe. I tried them on and they felt good and looked to be made good just still heavy I thought composite toes would be lighter. I've purchased numerous pairs of steel toe shoes, and boots in the past, but these are my first pair of composite toe shoes, and they happen to be the best thus far. They are very comfortable, durable, and stylish for work. No one believes they are work shoes. I will definitely be ordering another pair soon just for stand by. These are good safety shoes and I use them in the office and in the work area. I have gone away from steel toes as much as possible because of the cold transfer in winter conditions. I had hoped that they would have been better for hiking conditions but working on the shop floor or in the road R/W they have been great. They're casual enough to wear in the office and not have to change footwear to go out in a work zone. They are very comfortable on flat areas but not a lot of flex for rougher terrain and can get heavy as the day wears on if walking a lot. With that said, they still have the qualities I'm looking for and would definately buy them again. I have been wearing these Reebok shoes for over 1 year now. They are worn 10 hours a day 5-6 days a week. They have been wearing well. Still comfortable, and solid! Size is accurate, fits as expected. Not the lightest shoe, but not as heavy as Steel toed shoes. I would buy then again. Happy with my purchase! 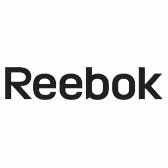 Reebok Shoes: Men's Composite Toe RB1062 EH Black Beamer Non Metallic Shoes is being added to your cart.